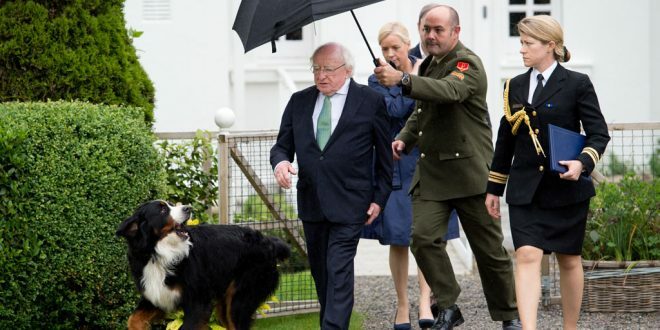 President Michael D. Higgins with his dog Shadow during the garden party at Áras an Uachtaráin. Photograph by John Kelly. 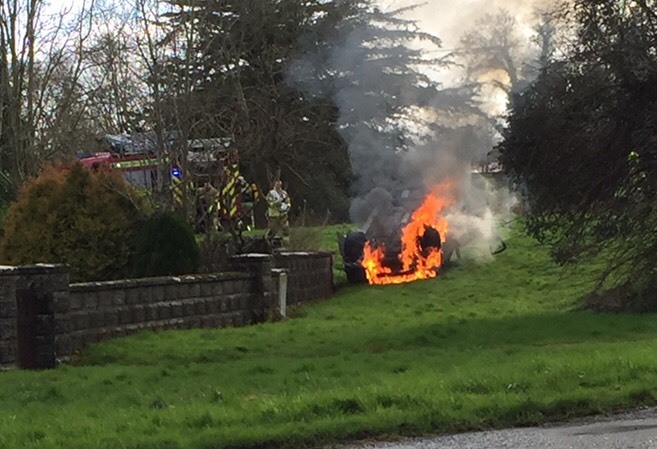 The President of Ireland Michael D Higgins recalled his boyhood days in Clare, when a group from Ballycar, Newmarket-on-Fergus were among his garden party guests at Áras an Uachtaráin last Sunday. The President mingled with his former neighbours, exchanging stories of their formative years in Ballycar National School. Talk also came around to many events that made their way into the parish history books and he even recalled enjoying playing handball in the local alley. 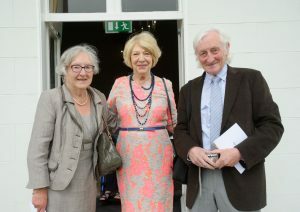 Mrs Sabina Higgins with Rita Murnane and her brother, Tony Mulvey. Photograph by John Kelly. 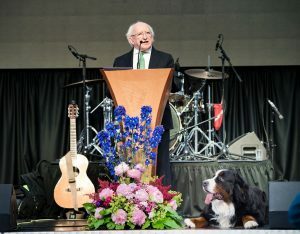 President Higgins and his wife, Sabina, welcomed the 80-strong Ballycar group, part of a gathering of nearly 500 people, at a marquee on the grounds of Áras an Uachtaráin. The afternoon programme included a tour of the stately residence, viewing the gardens and even a respite to watch the Ireland-France soccer game on a large screen. President Higgins’ one-time neighbour, Kathleen O’Leary, presented him with a hollowed vessel made from Ballycar ash by local man Ray Walsh. 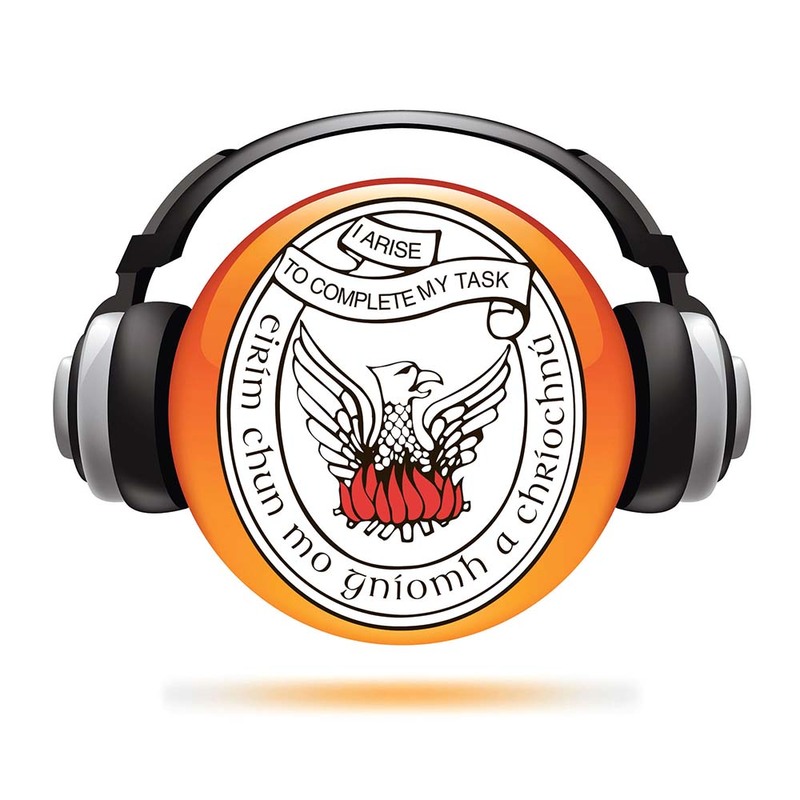 Each year, President Higgins and Mrs Higgins open up Áras an Uachtaráin for a series of garden parties celebrating the work of people and organisations active on the themes of citizenship and community – themes that are central to his presidency. Last Sunday’s Community Day party was the final one in the 2016 series. MC Marty Whelan poses for pictures with fans during the garden party. Photograph by John Kelly. 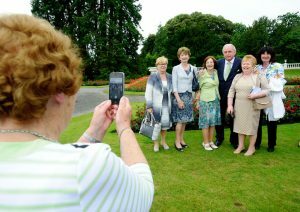 President Higgins said the eight garden parties held this year were attended by 4,000 people. In addition, some 20,000 people came through the door of Áras an Uachtaráin to attend different formal events and the gardens were also open to the public every Saturday. Paying tribute to the community groups and the important work they do, President Higgins stated people are going through “very interesting times on our planet with big decisions in relation to the response to climate change and the elimination of global poverty”. “We are proud Europeans, with significant contributions to make, not only to Europe but globally,” he said. President Higgins also spoke about the 1916 centenary, the rise in self-moral as a result and Ireland’s community spirit. President Michael D. Higgins addresses the gathering at the garden party. Photograph by John Kelly. He told community workers that they must continually remind themselves that with solidarity, there is nothing that cannot be transformed, there is nothing that cannot be re-imagined, there is nothing that cannot be restored and there is nothing that cannot be renewed.He said an inclusive society must be founded on strong communities that are rooted in all that is shared in common but which he is certain can grow and flourish through an acceptance of the many different beliefs, cultures and abilities of those who wish to participate in the life of their community. He said, “It is with such communities, and with people like yourselves, that we can aim to imagine and realise a truly just and democratic society, a real republic. The President stated that when he visits places, such as the west coast of the United States of America, people speak of the highly intelligent, bright and creative people they find in Ireland. He noted that, at the moment, Ireland has the largest proportion of young people under the age of 25 years who have third-level education and the largest number going on to postgraduate education. However, he said people must, at the same time, give a lead in protecting the environment, give a lead in climate change and give a lead in sustainable development. President Higgins also took the opportunity to pay tribute to people who are looking after others who are vulnerable and people with special needs. 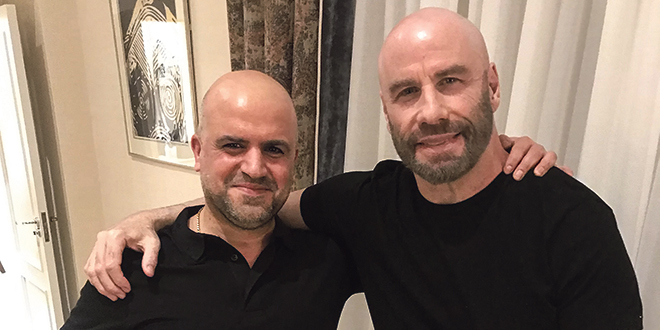 He said he is deeply impressed by the many examples of care and compassion he has observed in hospitals, homes and rehabilitation centres and the real commitment of so many people to raising funds and providing the best facilities for those in need. 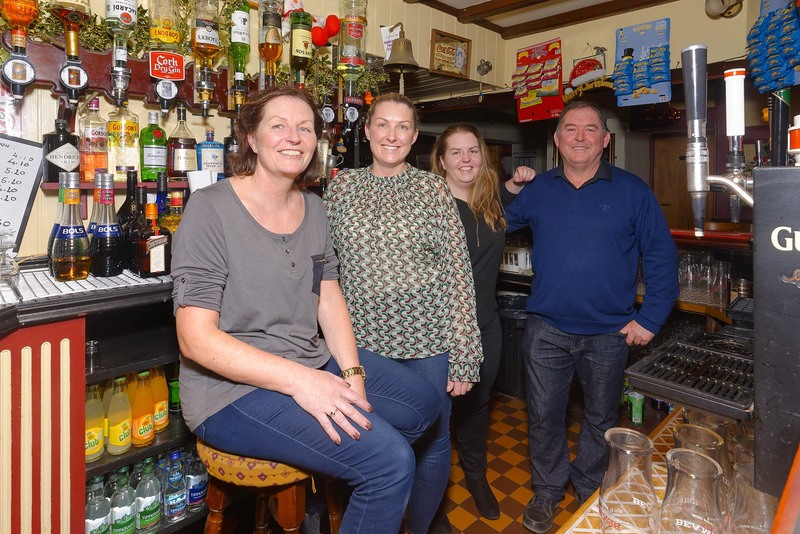 He noted another advantage in Ireland is inter-generational relationships; people of all ages within the different generations being able to speak to each other and respect each other. Young people that he has spoken with, who value being young and Irish, want a decent Ireland for people to grow old with dignity and older people want an Ireland that offers opportunities to people. As regards those who have gone abroad and are coming back regularly, the President’s hope is that this would be a circular type of migration, that they would come back and contribute all the richness of their experiences to future generations. President Higgins said it is important that people recognise that they are in a real republic, where every man, woman and child is regarded as an important citizen.